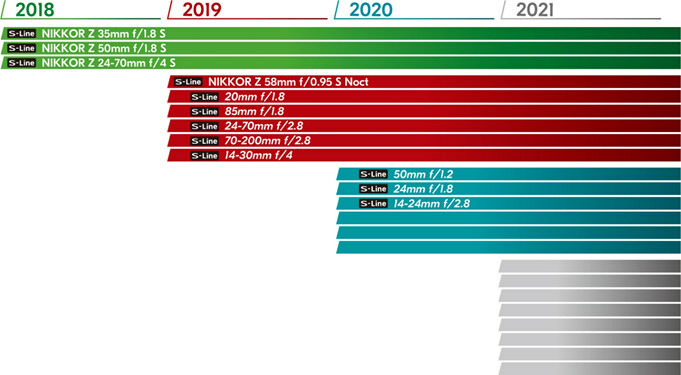 Nikon has released a lens roadmap for the Nikon Z series - Nikon's new Z series full-frame mirrorless cameras - with 6 lenses expected in 2019. *Information in the roadmap, including release dates, is subject to change. Product names after the NIKKOR Z 58mm f/0.95 S Noct are not yet finalised.